In 2015, there was talk that Telco Bharti Airtel was planning to exit the African market. Airtel denied these reports which were occasioned by talks between the Airtel and France Telekom Orange to sell Airtel subsidiaries in Burkina Faso, Chad, Congo Brazzaville and Sierra Leone. Orange said offloading these operations would reduce debt and allow the firm to concentrate on other operations in the African continent. Airtel has now confirmed the 100% sale of its operations in Burkina Faso and Sierra Leone but the sale of the other operations did not take off. Bharti Airtel entered the African market in 2010 with the $9 billion purchase of Zain operations in 15 countries. Airtel was in 2015 ranked the 3rd largest mobile operator in the world with 303 million mobile subscribers across its operations by the World Cellular Information Service (WCIS). Airtel is ranked behind China Mobile which leads with 626 million subscribers and Vodafone group which has 403 million subscribers. In 2015, the network carried over 1.23 trillion voice minutes and 333 petabytes of data (1,000 terabytes (TB) or 1,000,000 gigabytes (GB). Orange is currently in the process of offloading its stake in Orange Kenya, which will be purchased by Helios Investment Partners. Orange has said the acquisition of the operations will take place through its subsidiaries in Ivory Coast and Senegal. The two operations generated consolidated revenues of 275 Million euros with the Telco expecting the acquisition to add 5.5 million customers to Orange’s West African operations. Orange also acquired operations of the second largest Telco in Liberia, Cellcom. 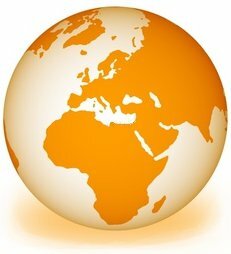 Cellcom has 1.13 million subscribers and forms part of Orange’s plan to expand operations in 20 African countries.